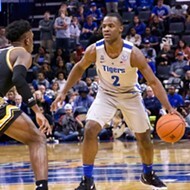 I spent the better part of last weekend trying to process what I saw early Saturday when Memphis point guard Jeremiah Martin scored 41 points in one half of a basketball game at USF. It's the rare athletic performance one knows will not be witnessed again. A player with a career average of less than 15 points per game, with a career-high — for an entire game — of 33 points does not score 41 points in 20 minutes. But that's precisely what the pride of Mitchell High School did on Saturday in Tampa, Florida. How does Martin's Groundhog Day measure historically in these parts? Consider that only five Tigers have scored more than 41 points in an entire game. (The program record is 48 points by Larry Finch against St. Joseph's on January 20, 1973.) No Memphis player had scored as many as 40 since December 13, 1997 (Marcus Moody). 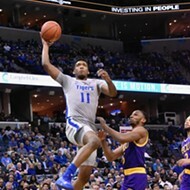 Martin almost won the American Athletic Conference scoring title as a junior last season . . . but with an average of 18.9 points per game. He had scored as many as 30 — in a game — only twice before. For him to score more than two points per minute for an entire half of basketball? I was looking for that Blood Wolf Moon days after the celestial phenomenon had passed. But here's the uncomfortable sidebar to Martin's extraordinary scoring surge: Where was Martin in the first half? 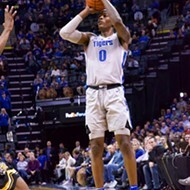 In falling behind 27-1 over the game's first 10 minutes, the Tigers played 30 minutes of catch-up basketball that required something Herculean — from somebody, anybody — just to make the game interesting. And against a team projected to finish dead last in the AAC. (USF, now 15-6, is making a nice statement on the credibility of preseason coaches' polls.) 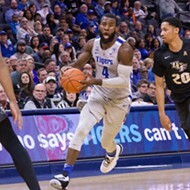 Martin is as guilty as all his teammates (particularly his fellow starters) and the entire Tiger coaching staff for serial somnolence at tip-off this season, particularly when Memphis is playing on the road. Providing an opponent a 10-point cushion before the first media timeout is a prescription for stressful play. There are Tiger fans who missed Martin's outburst because they turned the game off before halftime. 27-1? It was a warm, sunny Saturday in the Mid-South. Game off. I kept watching the game. Started counting the three-pointers Martin made: three ... five ... eventually seven. Watched a player who averaged 2.7 points and 13.8 minutes as a freshman heat up like no Tiger ever has before. Not Finch, not Keith Lee, not Martin's acclaimed and decorated head coach. It was unforeseen and unnatural. 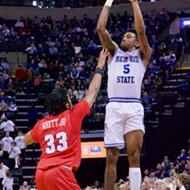 Sadly, it was part of a Memphis loss, so it will be swept away in the cliche we know and love best: "Individual performances mean nothing if the team doesn't win." For those of us who saw Jeremiah Martin score 41 points in 20 minutes, it does, in fact, mean something. A legitimate lightning strike on the hardwood, and generated by one of the most likable Tigers to suit up this century. Here's hoping "Peso" can spread his impact a bit more evenly over the season's final month. But for that one game — that one half — on Groundhog Day in Tampa? Thank you. • The Cincinnati Bearcats are not the Louisville Cardinals, but there's no greater Memphis rival in the American Athletic Conference. 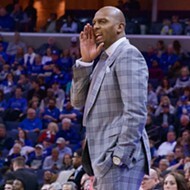 Thursday night at FedExForum, Penny Hardaway will coach for the first time against the program that beat his Tigers three times in the 1991-92 season, including a 31-point beatdown in the NCAA tournament's Midwest Regional final. These teams have played 77 times since 1968 (Memphis has won 44). Long before the AAC formed in 2013, they competed as members of the Missouri Valley Conference, then later the Metro, Great Midwest, and Conference USA. 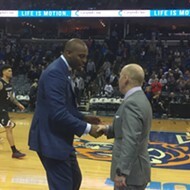 Cincinnati has brought villains to the Bluff City (Nick Van Exel, Danny Fortson, and Steve Logan to name just three) and Bearcats have been on the floor for historic Tiger wins (Larry Finch's last as Memphis coach in 1997). The Bearcats (19-3 and 8-1 in the AAC) are playing at a level Hardaway and his team have yet to reach. 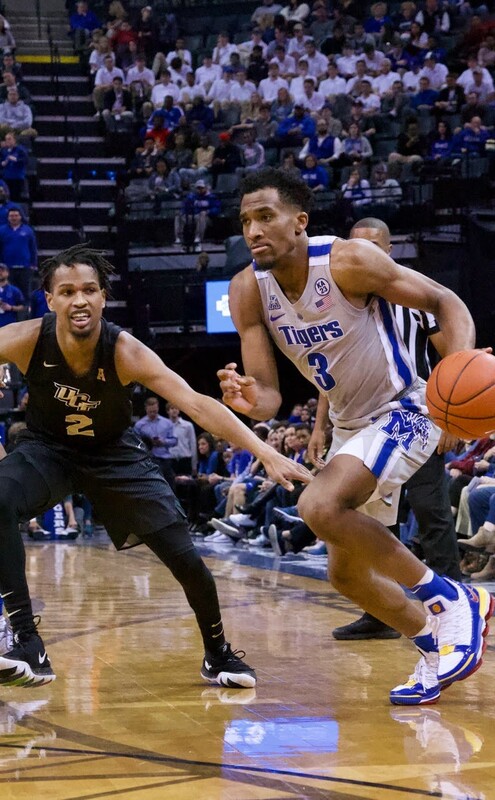 As Thursday opens a new chapter in this 50-year rivalry, the Tigers hope their revitalized home-court advantage might close the gap, at least for one night.